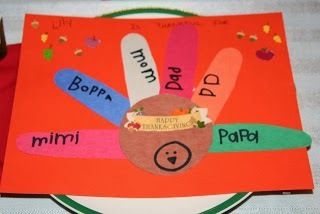 Here is a simpler version of a Thanksgiving place-mat. All you need is glue, markers/crayons, scissors and construction paper. 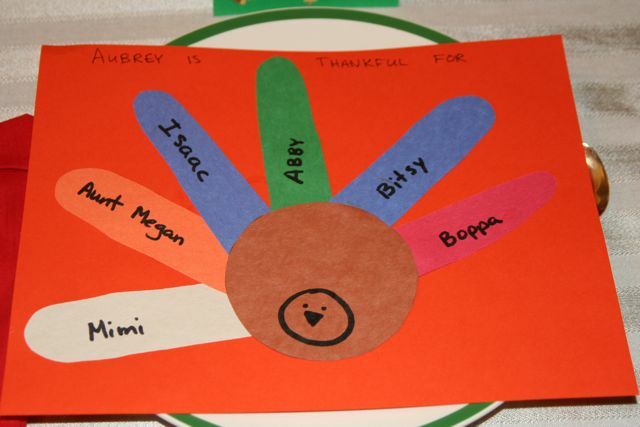 One Thanksgiving recently, we helped the kids make their own place mats. 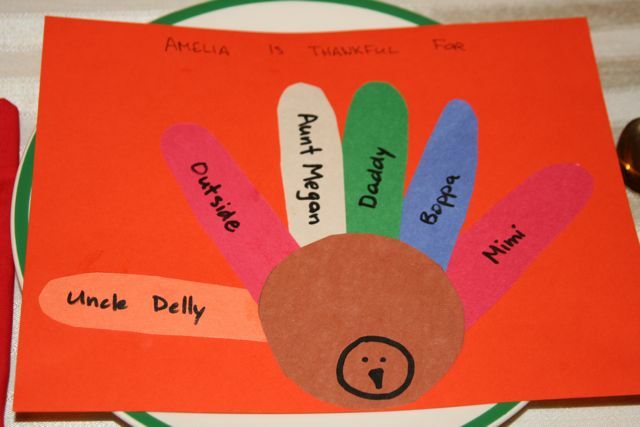 My sister pre-cut the shapes of the turkey's body (circle) and the tail feathers. 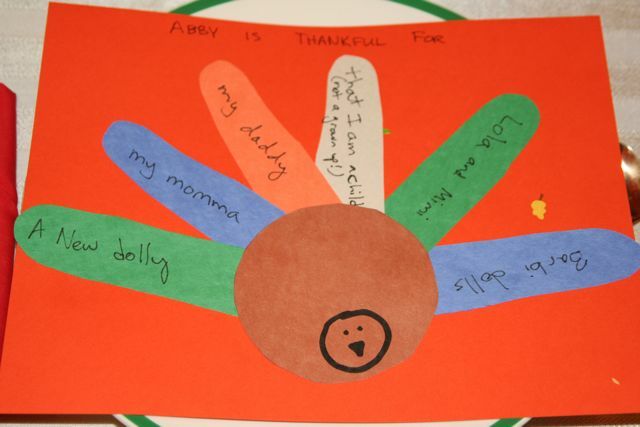 Each child got to glue together her own turkey and write what they were thankful for on each feather. Then they used them as place mats for the feast. Pre-cut one circle and use your finger or each of the kids fingers to trace feather shapes and cut out. Draw a turkey face on each circle or have kids do it. Alternative is cut shapes and glue them. 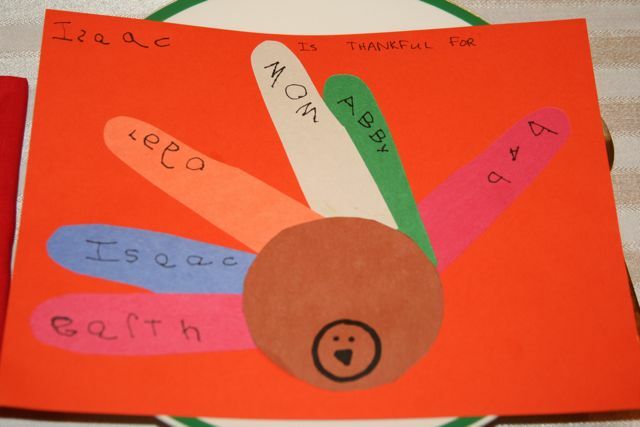 Have kids arrange their feathers and write who they are thankful for on each of the feathers.